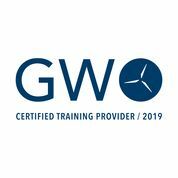 Our GWO training center Texas is the second in our roster of centers in the USA. A truly amazing facility housed within the Texas State Technical College. Located in Sweetwater our GWO training center Texas is a modern, state of the art training facility. Home to a renowned Wind Energy programme the center provides; climbing structures, fall-arrest ladders and various facilities for rope access. Climbing Structure Height 25’ and one Platform at other end. 20’ Edge Negations for Rope Access and Wind Energy Evacuation. Training is managed and delivered by our highly qualified team. One thing your are assured of is a warm Texas welcome! Our GWO training center in Texas is one of the premier sites in the USA. A recognised center of excellence for training Wind Energy technicians the centers facilities provide us with everything we need to ensure we deliver best in class training to our regular cohorts. The center is proud to have launched and nurtured many careers in the wind sector. The center also boasts a mobile training unit which enabales us to deliver onsite training at applicable sites in the vacinity. Texas itself is widely recognised as one of the USA’s premier wind energy states. Texas dominate wind energy production with wind accounting for 15% of electricity produced, surpassing coal in 2018. Texas has an enviable location with vast wind resource in West Texas and the Panhandle, which account for most of the state’s wind generating capacity. texas is resposible for a arge chunk of the stellar growth of the sector across the USA, output is nearly double other states and this means many jobs are created. All in all it’s one of the best places to train! Find out more by contacting us, just click the button below. PreviousPrevious post:Latest April GWO training dates.NextNext post:GWO training center Iowa.